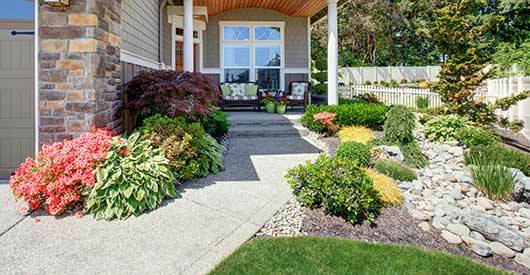 Want to order landscape materials, but don’t know how much you need? Let these calculators figure it out for you! You’ll need to figure out the area you need to cover, and decide on the thickness/height you want. Type those values in one of the two calculators below, click the “Calculate” button, and you’ll have the information you need when you contact us! *NOTE: All our calculations are approximate. Due to natural variations in size, shape and weight of material, be sure to go over all your information with one of our team members before placing your order.